Nextiva is a business-oriented VoIP provider, but they offer limited information about themselves online. They foster a “work hard, play hard” company culture and believe that exemplary service is the key to success. Founded in 2006, Nextiva offers a variety of business products (not just VoIP). They offer solutions for busy professionals on the go as well as more traditional office needs (Office/Business), stand-alone internet faxing solutions (vfax), and call center solutions. At this time, only offer a 30 day Unconditional Money Back Guarantee on their Office/Business plans. Excellent Phone Service for those looking specifically for Call Center plans. Nextiva offers unlimited calling and no minute restrictions for their business and enterprise plans. Pricing per month varies from $19.95 to $29.95 depending on the features a user needs – which may deter some businesses, since other companies offer many of these features for free. All services are on a month-to-month basis and no contract is required. If, however, a company wishes to base their service on a contract (such as annually), they can call customer service to set one up. There are no free trials with Nextiva's Office/Business plans – however they do offer a 30 day money back guarantee. Nextiva Contact Center offers two plans specifically designed to handle heavy volume call center applications. These plans start at $50/user/month for their Pro plan and $100/user/month for their Enterprise plan. The features that are supported by their call center product is very impressive and rival and in some cases exceed those offered by RingCentral Contact Center for half the price! Nextiva vfax is Nextiva's internet faxing solution and prices range from $4.95/month for their Single User plan to $29.95/month for their Business Pro plan, depending upon the volume of faxing you need. If you sign up for Nextiva Connect and want to have internet faxing you will also need to sign up for a vFax plan. 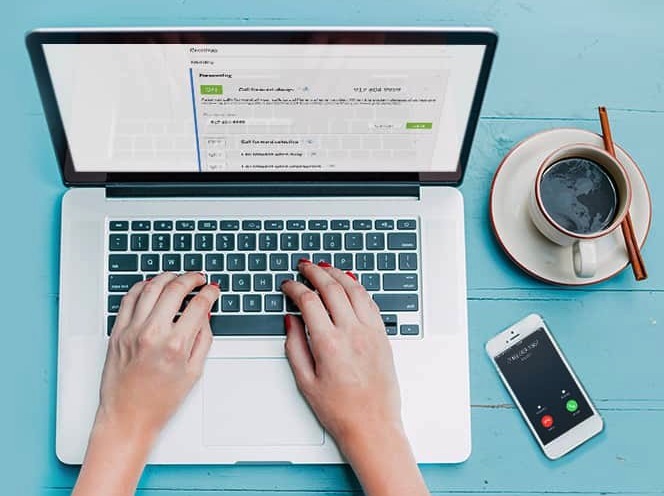 With RingCentral Professional – which is similar to Connect, you get internet faxing standard with their ProPlus and ProPower plans. Nextiva is also one of a very few services that offers plans specifically designed for Call Centers. All Office plans include call management features like unlimited calling and faxing, unlimited long distance, call forwarding, waiting and caller ID as well as HD voice. Users get a free local and free toll-free number as part of their plan. If they have a number with another service, they can transfer that number for free to Nextiva. They do not offer Vanity Numbers however. If you need a local vanity number, you would have to purchase it from a company like RingBoost and transfer it to Nextiva – you are limited to local vanity numbers only with RingBoost. If you purchase a toll-free vanity number from RingBoost you must use their carrier – just be aware of this. Enterprise Plans include more advanced features, such as the mobile app, attendant console, call recording and conference bridging. 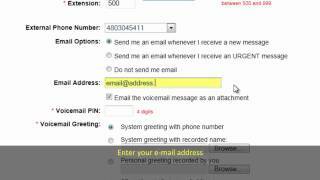 All accounts can access voicemail-to-text for an additional $2.95 per line. 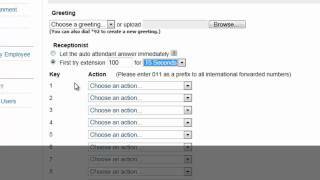 Nextiva offers a variety of call management features, including multi-tiered auto attendants and call forwarding. But, all of these require separate setups, which can overwhelm a user. That being said, their web-based interface is extremely user friendly. Nextiva offers a system status report (complete with current incidents) for users to check. They do have an online help guide, but it is extremely confusing and offers limited information. Support can be reached 24/7 via a Support Ticket online, via email or by phone. Office Pro: Unlimited calling, unlimited long-distance, free toll-free and local number, free number porting and a professionally recorded greeting. No mobile app access. Starting at $19.95 per month. 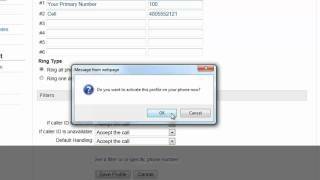 Office Pro Plus: Unlimited calling and long-distance, free number porting, free toll-free and local number, three professionally recorded greetings, conference bridging, and mobile app access. Starting at $22.95 per month. Office Enterprise: Same features as Office Pro and Office Pro Plus as well as team presence, call recording, silent call barging for management, attendant console and access to the Nextiva toolbar. Start at $29.95 per month. *Voicemail-to-Text is available for all plans for $2.95 per line. Unlimited Calling: Unlike other VoIP providers, Nextiva offers unlimited calling plans for a single monthly price. Unlimited Virtual Faxing: Nextiva offers all paid plans unlimited virtual (inbound and outbound) faxing. No Setup Fees: There is no fee to activate a Nextiva plan and no setup fees. Also, users do not have to purchase special equipment to use Nextiva, but the company does offer professional PBX phones at a significantly discounted rate for those companies that do not already have a phone system in place. No Contracts: All Nextiva plans are on a month-to-month basis; therefore users can cancel their Nextiva services at any time. HD Capabilities: Nextiva offers HD voice and HD hold music for their paid plans. Sound is clearer and crisper than other VoIP providers, so even big enterprises can rely on Nextiva for quality phone calling. 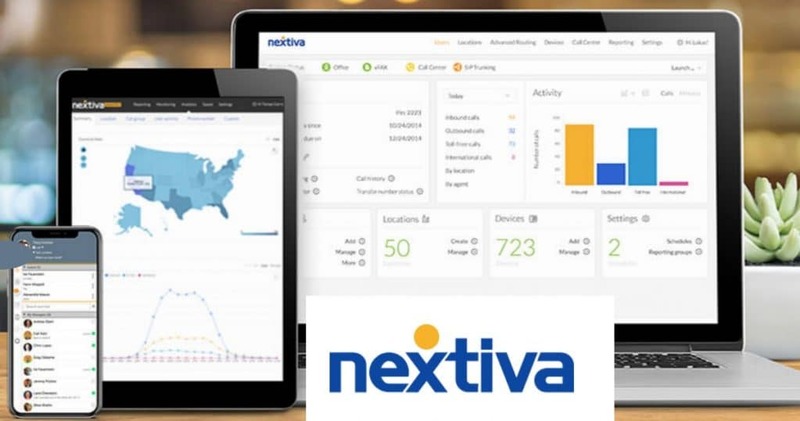 Mobile Capability: Nextiva users can access their accounts, call and even stay in touch with customers using the mobile phone app. VoIP Adapter Not Included: While users are not required to purchase equipment from Nextiva, they cannot use their service without VoIP phones or a VoIP adapter, which is an additional cost to the user. Free Trial: Nextiva does not offer a free trial for their Office plans at this time, which may be a turn off for some users. Features and Upgrades: Nextiva has unlimited calling and faxing, but when users pay for higher priced plans, the features that are included are not necessary fantastic. In order to access all features, users pay the $29.95 per month fee. 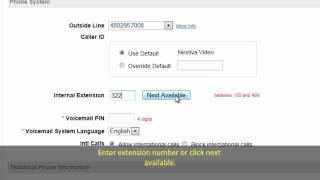 Extensions and Numbers: VoIP users with Nextiva can set up extensions through the On-Net Extension. But, these extensions do not have access to voicemail, cannot make outbound calls and cannot have their calls routed. The smallest plan allows up to 10 different numbers to be forwarded to a single Nextiva phone number. As we mentioned earlier Nextiva does not offer Vanity Numbers which means you will need to purchase one from a company such as RingBoost if having a Local Vanity number is important to your business. With RingBoost however, you do not have the option of porting a Toll-Free number to Nextiva – you can only port local vanity numbers.